The SageWater Renew solution uses a sodium silicate additive. It has been proven both safe and effective at treating corrosion in public water systems. Soluble Silicates are effective, economical and environmentally friendly. Silicates have been used by utilities for over 80 years to prevent corrosion. They have also been used by the foodservice industry to refine vegetable oils, process eggs, and clarify beer and wine. Most water utilities use anti-corrosives, such as sodium silicate, and customers can measure trace amounts of silicate at the faucet. 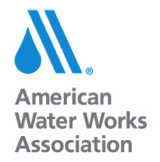 Silicates are endorsed as direct additives to potable water by the American Water Works Association and the Army Corps of Engineers. Our Silicate has been certified to ANSI/NSF Standards 60/61. The EPA recommends silicates for corrosion control in the National Primary Drinking Water Regulation. The FDA has ruled that sodium silicate is not hazardous for ingestion and is safe for human consumption, without limitation.